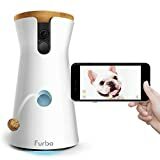 The Furbo dog camera has a beautiful design; with a wooden lid and white color body, it doesn’t look like any other home security system, and you won’t be embarrassed to put it in any place in your home or apartment. It is recommended to put it in a high spot so the dogs can’t get to it, and since it has a wide-angle lens, you will still get a full view of the room no matter where it is. The HD camera has night vision and gives a nice, bright picture even in low-light conditions. You can also take photos and record video with it. Two people can be connected at the same time, so you and your loved one can be watching your puppy play. While your Furbo is connected to WIFI, you could be in another country and still be able to watch what he is up to. Once you connect the power cable and the LED at the bottom turns green, go to the app store and install the Furbo application on your smartphone. You’ll have the option to set up a new Furbo. Create an account using the app and place your Furbo close to your WIFi router. When your phone detects the Furbo, it will sync, and you’re ready to go. Open the top lid of your Furbo and fill it up with treats. Included with your purchase is a bag of treats, so you can get started right away! 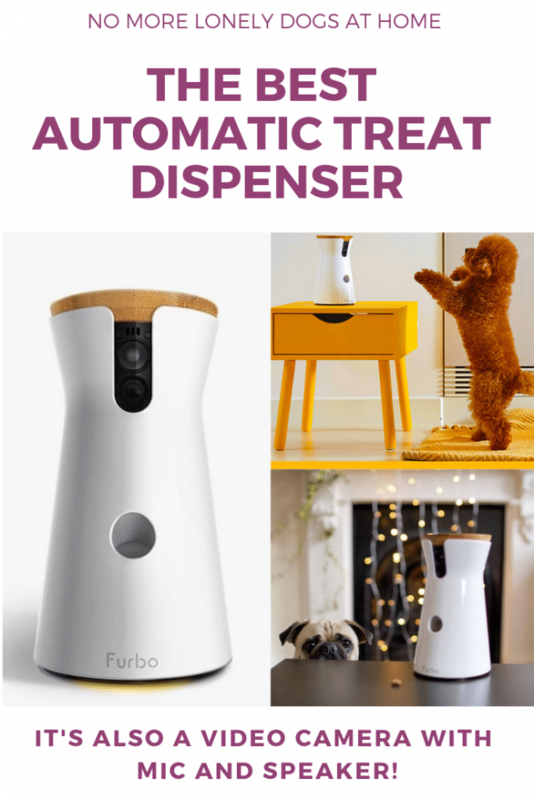 Although Furbo is obviously supposed to be used when you’re at work or away from the house and your pets are home alone, it’s quite fun to just sit near it while it shoots treats at your dogs!